Does hunting reduce coyote populations? Differences of opinion exist as to the overall effect of hunting efforts, especially big, organized hunts, on coyote populations. Many hunters believe taking out coyotes helps wild-game populations by removing a top-end predator from the landscape, although no eradication attempt has been 100-percent effective. On the other hand, the non-profit organization Project Coyote said hunting ignores the coyotes’ role in the ecosystem, that hunting actually stimulates females to give birth to more pups. 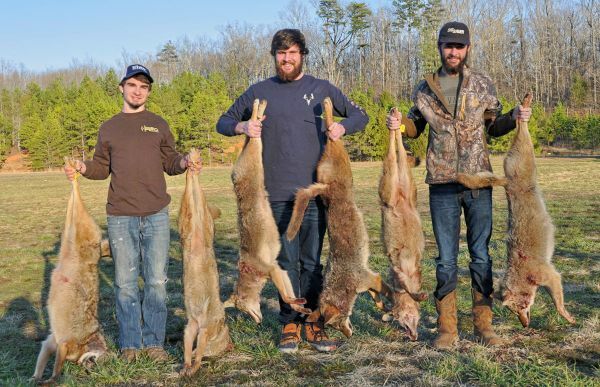 “In a sense, (coyote-hunting events) are counter productive,” Marilyn McGee wrote in a published report during the 2016 Carolina Coyote Classic 3, headquartered in Albemarle. Biologists with the N.C. Wildlife Resources Commission agree that coyotes can’t be eradicated, but “spot controls” of the predators give local native wildlife species some relief. Many hunters in the Classic, especially those from South Carolina, said coyotes have definitely have hurt their deer numbers. Max Derugen of Stanly County lost his favorite family pet, which was left outside one night, then mauled and killed by coyotes. He helped start the Coyote Classic.